Life cycle assessment and sustainability return on investment studies provide management insights into environmental, social, economic effect. EarthShift Global LLC and HP will outline the environmental, social, and economic impacts of advanced printing technologies, including 3D printing, at this week’s International Society for Industrial Ecology/International Symposium on Sustainable Systems and Technology (ISIE/ISSST) conference in Chicago. Representatives of the two companies will report on third-party-reviewed Life Cycle Assessment (LCA) studies of HP’s Multi Jet Fusion 3D printing technology and HP Indigo 20000 Digital Press printing system. The environmental impacts of both systems are assessed across multiple scenarios and compared with traditional technologies. In addition, EarthShift Global founder and CEO Lise Laurin will discuss a broader Sustainable Return on Investment (S-ROI) study of 3D printing of plastics, revealing previously unavailable insights into the potential magnitude of externalities—social, economic, and environmental risks and opportunities associated with the increasingly popular technology. S-ROI presents stakeholder-oriented information in a monetized model, allowing it to be used alongside traditional financial metrics for triple-bottom-line decision-making at HP and other companies. “In its product development process, HP has shown a commitment to helping its customers, and customers’ customers, perform better on environmental and social metrics,” said Laurin. A Comparative Life Cycle Assessment of HP’s Multi Jet Fusion Additive (3D Printing) Manufacturing with Injection Molding—Using direct comparisons of actual automotive parts, this session looks at the environmental benefits of additive manufacturing, including the ability to use less material without compromising structural integrity and extend product lifetimes due to increased availability of replacement parts. Life Cycle Assessment Comparison of Flexible Packaging Printed Using Three Different Methods for Short-Run Jobs—This session models the impacts of producing flexible packaging for a consumer product using HP Indigo 20000 digital printers and traditional flexographic and gravure techniques, including direct costs, energy consumption, manufacture and disposal of consumables, and waste generated during production. A white paper on the study is available for download. 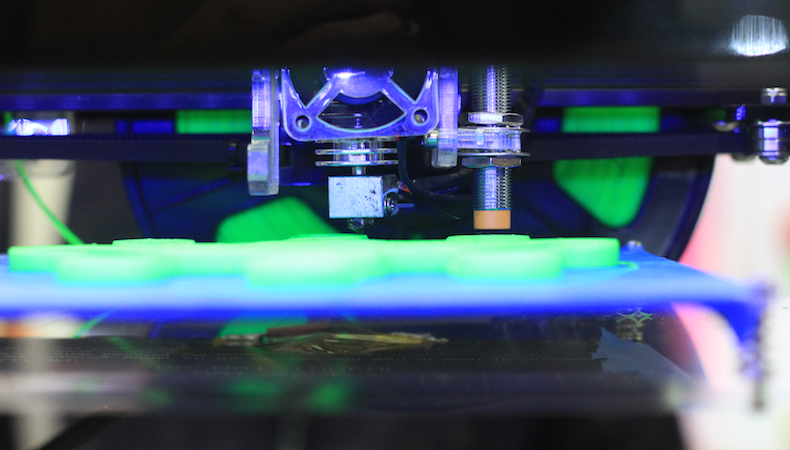 Assessing the Sustainability of 3D Printing of Plastics—This study uses an S-ROI approach to evaluate environmental, social, and economic risks and opportunities related to broad uptake of 3D printing, including the availability of customized, inexpensive prostheses, encouragement of entrepreneurship in developing countries, design piracy, and the manufacture of weapons. The EarthShift Global and HP representatives will be available for discussion during the ISIE/ISSST conference, which runs from June 25-29 at the University of Illinois at Chicago Forum, 725 West Roosevelt Road, Chicago, IL.